Perfect for adding loads of sparkle and dimension to scrapbook layouts, greeting cards and many other craft applications. Use with glue, stamp and glue pad, epoxy, and much more. 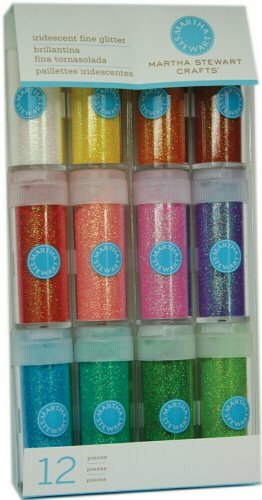 This package contains twelve 0.37-ounce/10-1/2-gram jars of iridescent fine glitter. Imported.